How I Gained It: I was an emotional eater with a serious food addiction from a young age and would often sneak food into my bedroom and pig out all day long. I did this continuously throughout my young-adult years. I ate fast food all the time: double quarter pounders with cheese, tacos, French fries. By 2008, I had hit my high of 332 pounds. I was miserable, not confident at all and always with my eyes on the ground. I never felt deserving, and I always felt like a failure. Breaking Point: The moment I knew I needed to lose weight was when I bumped into a friend from high school and she asked me if I was pregnant. That is when I knew I needed to do something. 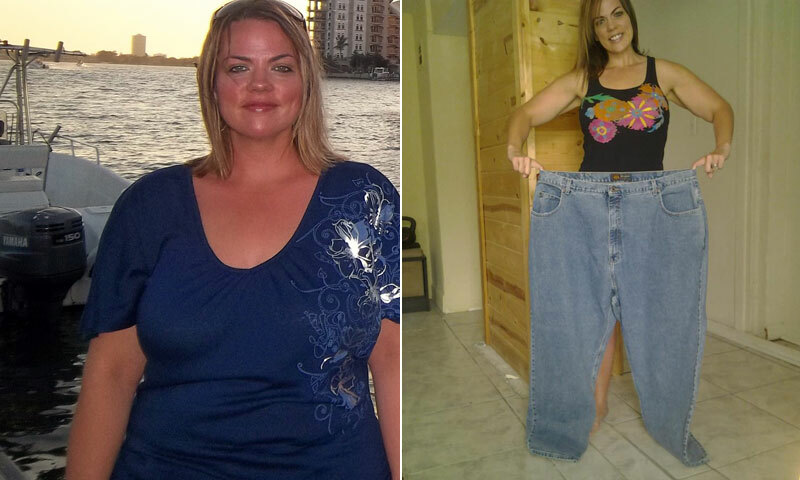 How I Lost It: With the help of home fitness DVD programs, along with healthy eating and portion control I was able to get on my way. I worked out five to six days a week, drank plenty of water and only gave myself one day a week of cheating, meaning I could eat whatever I wanted. At first, I could barely make it through eight minutes of exercise. I had no idea how to eat better, so I started by counting calories and eating Lean Cuisine meals. Three months in, I was down two pants sizes, but still had a long way to go. I was still humiliated to work out in front of people at the gym. I started using BeachBody products at home and fell in love. I am now an official Team BeachBody coach helping others get fit and healthy. I am studying for my personal training certification and have completed my first 5K. I made the switch to clean eating and ditched all processed junk. I have a book in the works and many other exciting things that I never would've accomplished had I not lost the weight and gained my life back! Holding myself accountable on Facebook has been a lifesaver. I'm thankful daily for the motivation and to be able to help women who were once where I was. The sky is the limit! !